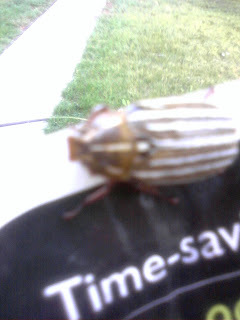 I have no idea what this handsome beattle is but would like to know. The picture is from my phone so it is not the best. He is an metallic antique gold and white. The best part is he hisses. Why he? Why not.